A northern temperate forest on a summer afternoon. The canopy of the Hubbard Brook Experimental Forest glowed in the afternoon light. Sun filtered through the leaves, forming a patterned roof over the forest floor. 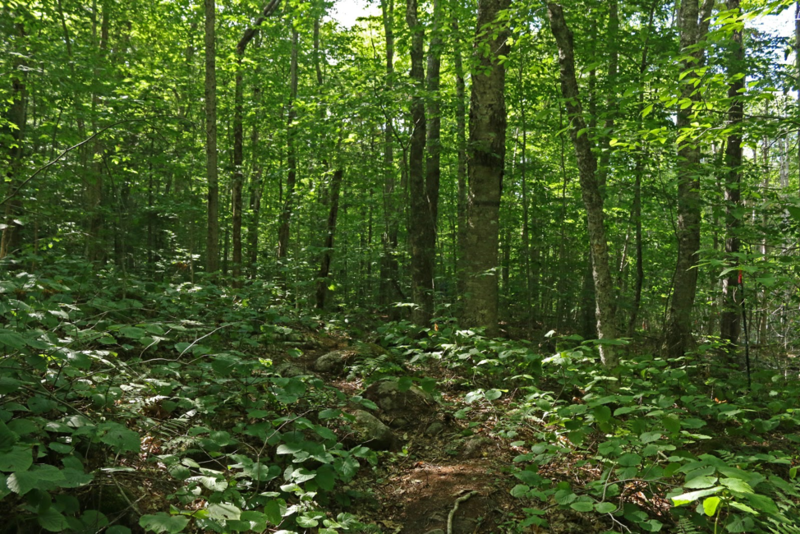 I walked with Hubbard Brook team leader, Dr. Lindsey Rustad, past several research plots and up a small hill. Peeking at us through the tree trunks was DroughtNet, a raised wooden structure beneath the tall deciduous trees, blending seamlessly with the forested environment. The question the research team hopes to answer is straightforward: what happens to northern temperate forests when a drought occurs? Most drought experiments are done on a small scale, but the Hubbard Brook scientists want to go further: they have established two 15 x 15 m plots subjected to a 50% precipitation reduction compared to the surrounding study areas. 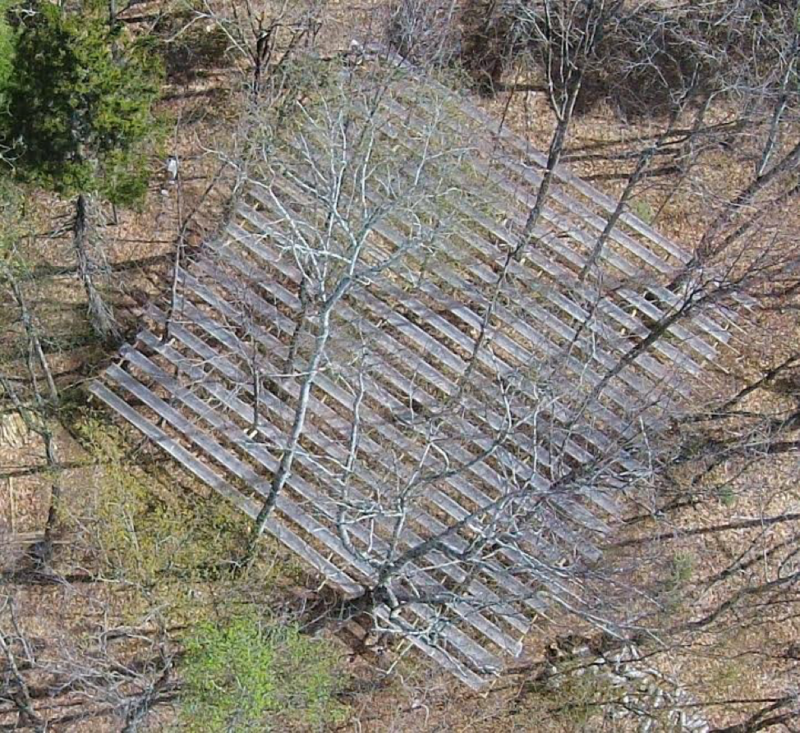 From above, the DroughtNet experiment looks like a striped square, with thin troughs draining water away from the ground beneath the structure, while alternating empty spaces allowed some precipitation to reach the forest floor. Hubbard Brook staff, led by site manager Ian Halm, constructed the DroughtNet apparatus from wood beams and canvas troughs. Rain and snow hits the canvas and is funneled to the edges of the plot; beneath the structure lie various scientific instruments from data loggers to heat sensors. I often find that there is beauty in science, and I particularly felt this way when gazing across the two DroughtNet plots. They were almost camouflaged within the forest itself, blending in with the browns and greens of the New Hampshire woods. One of the DroughtNet plots seen from above. Just to be clear, removing 50% of precipitation simulates a severe drought: “the 1 in 100 year drought, based on a statistical analysis,” explains Dr. Rustad. Droughts like this have historically happened only once in a century, but could become more frequent as the effects of climate change continue to increase. 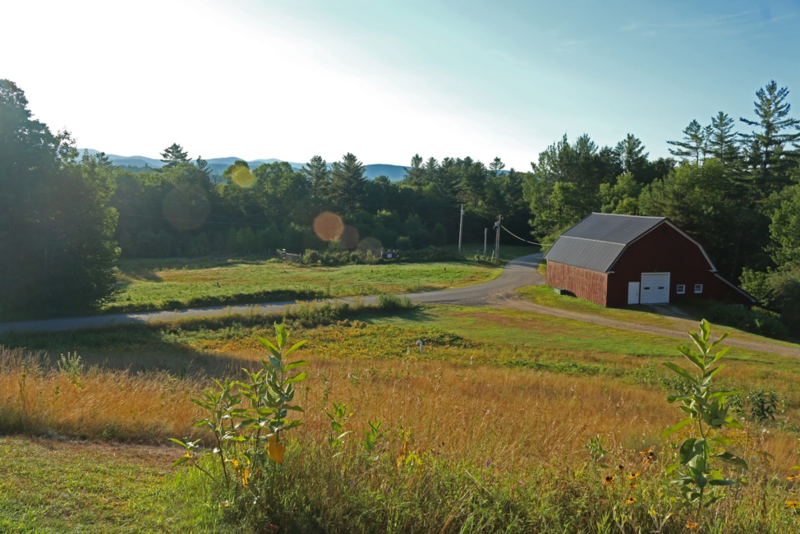 Additionally, choosing this study design allowed Hubbard Brook staff to compare the results from DroughtNet to other sites in the International Drought Experiment (IDE). With drought experiments on six continents, “IDE is a highly coordinated experimental network aimed at assessing differential sensitivity of terrestrial ecosystems to extreme drought,” says Rustad. We stopped to talk to Katie Jennings, a scientist from the University of New Hampshire, taking measurements at the DroughtNet site. “We’re going to look at the responses these trees and surrounding soils have to reduced precipitation,” she explains. The scientists measured all the trees before the experiments began so that they could look at subsequent differences in tree growth between the drought and control plots (where precipitation is not manipulated). They will further look at how drought might change the way trees use water store carbon, and how water availability changes in the surrounding soil. Their conclusions may help forest managers prepare for the future. While the results from the experiment may illustrate the negative consequences of future drought in the forests here, a look into the future can allow public and private landowners, as well as public policy officials and elected representatives, to manage their land more effectively and mitigate future drought conditions. The Hubbard Brook DroughtNet site in New Hampshire is one of many around the world.